I buy from them. They're based here in OKC, and I have a physical store about half a mile from my office. Just think of all the calories he burns during a round. Scottsdale 2019 is booked....I was finally able to make the last tee time a few weeks ago. Wed- Raven Golf Club Thurs- Troon North (both courses) Fri- Dinosaur Mountain Sat- WM Open Sun- Papago I tried to get on at WeKoPa, but they were already booked up.....even though I called before their booking window even began. In any case, I'm looking forward to a few days of desert golf for my 40th birthday. I've owned 20+ pair of non-perscription Oakleys over the years, and never really had any complaints....other than I kept losing them. I did have one pair with the "fire iridium" polorized lenses that delaminated....the coating basically chipped and flaked off. A few years ago, I switched to Maui Jim, and have been completely satisfied with their products and customer service. I've broken a couple of the bridges, and when sent back, they've fixed them for little cost (or free), and gotten back to me very quickly. I'll second this. I have the same ones, and I'm happy with them. 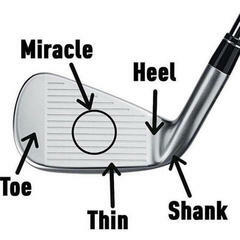 I still carry a Cleveland Halo 4i hybrid.....steel shaft. I think it's circa '04 or '05. I'm currently gaming a Ping G 10.5* with Alta 55g Stiff Flex shaft, and I'm looking for options. I've noticed this year that my yardage (avg. 245-255) is mostly carry, with very little roll. Last week, I hit it on the range while being "tracked" by the Taylormade version of a Trackman. Based on the numbers, I've got WAY too much spin, and it's killing my roll. 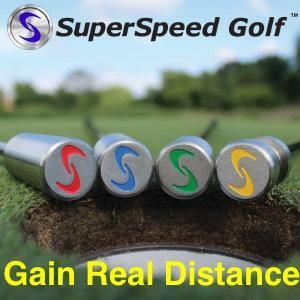 Here are quick numbers- Launch angle: 13.7*; Swing Speed- 95mpg avg; Carry- 225; roll- 15 yards; total distance- 250 avg; SPIN- 3800-3900. Based on this, I'm thinking about swapping shafts to something with a low/mid launch angle and lower tq number. The Tour 65 looks interesting, and maybe I could find one used to swap in. If I went with an aftermarket shaft, what would you guys suggest? I've been told to check out the Diamana 62 x5ct and RIP Alpha. I don't know anything about either of these. Any help would be much appreciated. Yes, I agree- reasonable numbers. I haven't hit a Titleist driver since the old 975 days. My last 4 drivers have been: Taylormade R7, Ping G20, Taylormade R1, and Ping G. The thing that stuck out to me the most was changing from a the Kuro Kage 50g shaft to the Hzrdus Smoke 60g shaft dropped the spin rate quite a bit. And the Smoke vs the "stock" Ping shaft was night and day. Like I mentioned, carry wasn't a huge difference. But the total yardage improvement was noticeable. I did myTitleist Thursday fitting yesterday. Here are the details: Current driver......Ping G 10.5* w/ Alta stiff shaft 55g- 235 carry 250 total. Tested driver.......Titleist TS2 10.5* w/ Hzrdus Smoke 6.0 60g- 240-245 carry 270 total. Spin dropped from 3700 w/ Ping to 2600 w/ Titleist. Carry wasn’t much more, but lower spin really got it rolling on the ground. Best overall was +26 yards. But that was only a few times. Avg gain was 15-20 yards. Average swing speed was 95mph. Top was 101, slowest was 91. Launch angle was good- 13.7* and I was getting 1.40+ smash factor for most of the "solid" strikes. Thanks for the replies, gentlemen. I think I'm going to go back to the store, and hit a few more balls in their simulator. The adjustable weight isn't a big deal to me and yes, @dbuck, the difference is right around $100. After thinking it over, I may keep the Halo in the bag, and carry both....I still hit the Halo well, so it could be used on shorter shots, instead of choking down on an H1. If you think red dots are hard to find.....try looking for orange! I'm 2* flat, and have been swinging G20's since 2011. I just took delivery of a new set of Titleist 718 AP1's yesterday. Ordered them 2* flat also. Corporate Recruite/ HR Generalist for an oil company. Quick poll for the audience. I currently carry an old (circa 2005) 21* Cleveland Halo. I carry it about 160-165. I'm looking for a new hybrid to replace it. Today I went by a local golf store, and hit a couple of left-over 816 H1's and a 818 H1.....all in 21*. The 816 models had the Speeder 8.8 and Diamana 60 HY shafts. The 818 had the MCA Tensei Pro Blue 70 HY shaft. Average carry distance with all was in the 180-185 range, with total distance being right around 200- 205. **This was in a simulator** So, do you guys feel that the 818 is THAT much better than the 816? I hit it marginally further (carried less that 5 more yards). Of the two 816 models, I could definitely tell the difference in shaft options- The Speeder was much lower, on average. 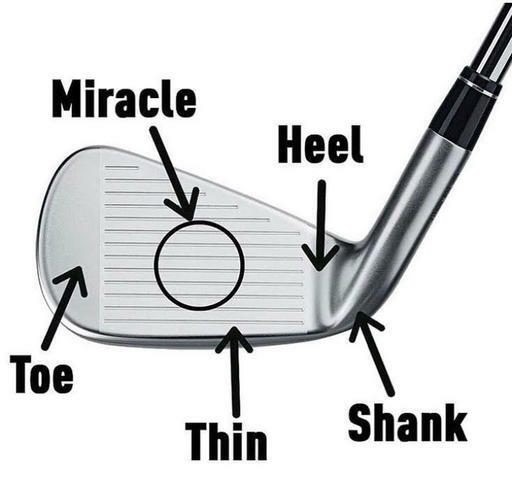 I play in the Oklahoma wind regularly, so flight is a consideration as well.....I like the idea of hitting higher, and landing softer, as this will be used to hit into greens more than trying to drive into the wind, off the tee. Any advice is much appreciated. Where Is Your Next Golf Trip Going to Be? Scottsdale, AZ.....Jan 30th- Feb 3rd. Four days of golf, one day at WM Open. Tentative plans include: both We-Ko-Pa courses, both Troon North courses, Southern Dunes, Dinosour Mountain, or maybe SunRidge Canyon.